There will be a short edition this week as I continue to vacation in the location of Somewhere In Time (although not because of the mediocre time travel movie). I haven’t seen hardly any genre television, but did download the first episode of the season of Dexter and watched one night over the past week. Dexter resumed six months after Deb shot LaGuerta, with Dexter holding up much better than Deb. However, as we know that this is the final season, there are a few possible situations developing which could lead to Dexter’s downfall. Deb says she shot the wrong person and, while so far I wouldn’t make this my top prediction, this could lead to her ultimately either killing Dexter or turning him (and possibly herself) in. Dexter killed the criminal which Deb was investigating/living with and didn’t dispose of the body in his usual manner, possibly leading him to become implicated either for this crime or becoming at risk from the criminals after the jewels. The biggest risk to Dexter may come from Dr. Vogel, who knows about Dexter’s past, having assisted Harry in developing the code. She is overly confident over her own safety, telling Dexter he cannot kill her because she doesn’t fit the code, considering that Dexter has broken it several times. From the previews it appears that she wants to use Dexter to kill off someone else, which is yet another potential source of danger for Dexter. Vulture has an interview with Charlotte Rampling, who plays Dr. Vogel. 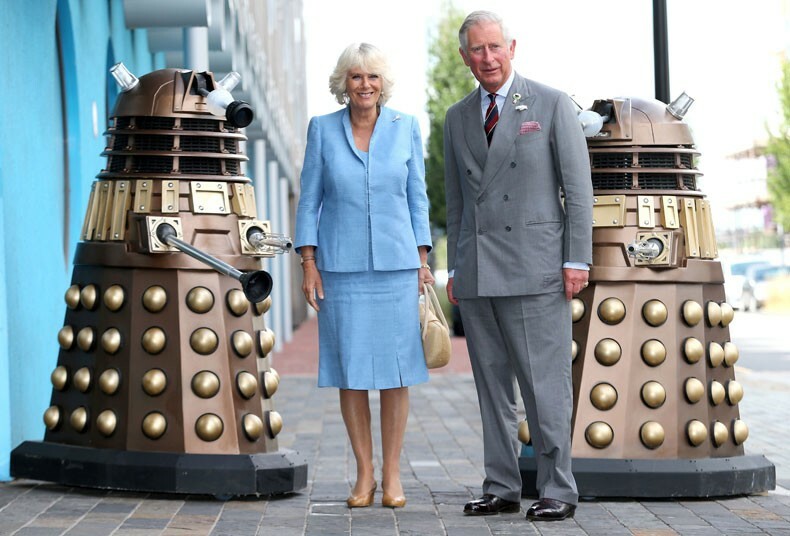 Prince Charles did a Dalek impersonation and The Telegraph had some potential spoilers about the identity of the John Hurt (nothing which hasn’t already been speculated about on line). Costume designer Howard Burden, who showed the royal couple a selection of costumes from the show, disclosed that the anniversary episode will feature John Hurt, who will play a “dark Doctor” seen briefly at the end of the last series.